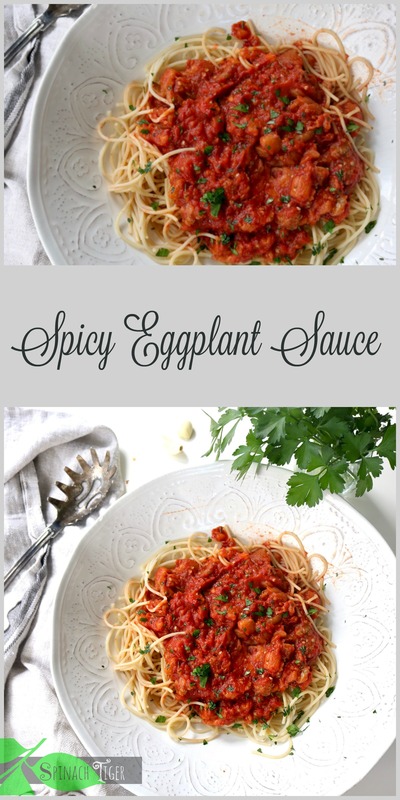 This is quintessentially “Sicilian.” They (we) love our eggplant, especially when made spicy and served with spaghetti. 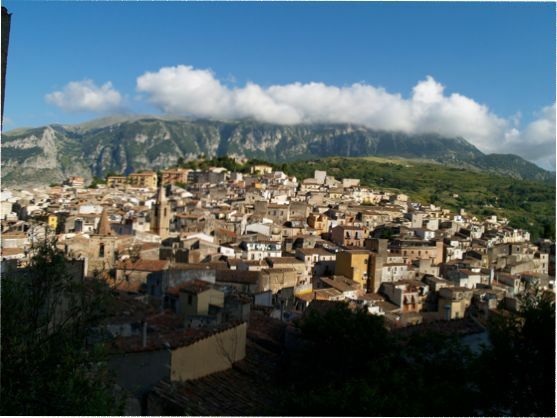 My grandfather, Biaggio, was born in Isnello (a commune outside of Palermo), and I had the pleasure to eat two eggplant dishes prepared by his my family there on our travels to Sicily. This is a Marcella Hazan recipe and was first published here in November 2010. It was time for an update with new pictures. 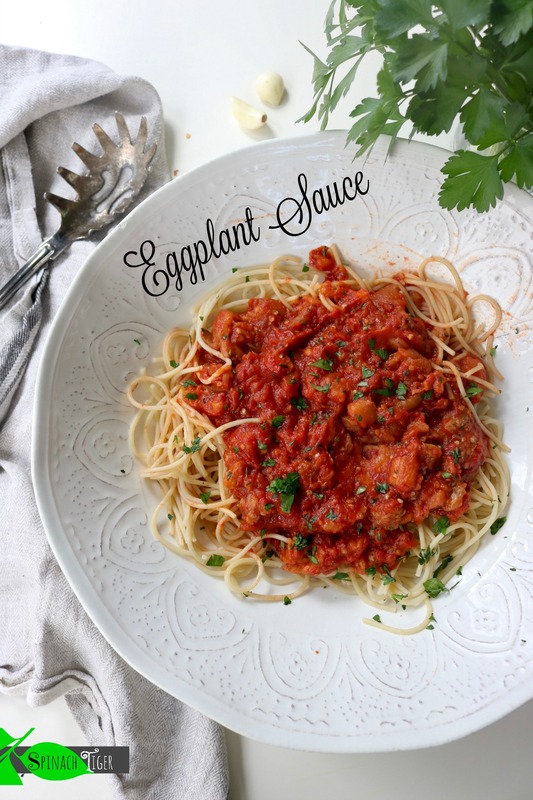 The eggplant is fried, left chunky, and tossed with spaghetti. I chose this gluten free pasta, but you can choose whatever you like. When we visited Isnello, we were served two kinds of eggplant that had that perfect char that I’ve never been able to replicate. The village of Isnello has an elevation only second to Mount Etna. The infrastructure has hardly been touched in centuries except for the remodeling of kitchens and bathrooms. 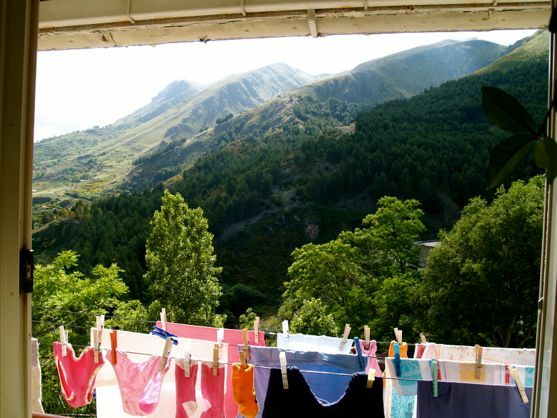 Laundry is still hung outside up on the forth floor of narrow, yet pristine homes that often have two kitchens. My family owns a bed and breakfast home on the mountainside, just across the town. The views are spectacular, breathtaking and not like any I’ve witnessed here in the states. The setting is a bit surreal, because the town is small and remote, with it’s own cheese shop, butcher and baker. It feels a bit isolated and insulated, yet it is a mere 30 minute drive to the beach and Palermo. The drive is quite a climb, breathtaking (a bit scary) and awesome. This is a the first time I’ve used that word “awesome” correctly. Untouched for generations, yet there are cell phones and satellite dishes, but I doubt there are microwave ovens. I might hang my laundry out too if this was my view doing it. The everyday view of spectacular Isnello, Sicily. A Word about the Mafia. People often ignorantly ask me if my family is in the mafia. You must know that this is a highly insulting question. There is nothing glamorous about organized crime, thugs, murder and the exploitation of the small merchant who must pay a large “protection fee” to thieves. I’m a huge advocate of the small merchant, farmer, and restaurant owner. There is nothing glamorous living under siege. The beautiful, warm, kind people of Sicily are not proud of the reputation of the few thugs that sweep their country and they are especially hurt and insulted to be asked if they are part of this darkness, as if it’s something to be proud of. I suppose our American culture that was captivated by the Sopranos is part of the blame. The families living here born who are born in Sicily are appalled that Americans find that attractive. While we with some Sicilian blood are known to have a bit of a temper, most of us believe in God and follow his ways. After we have our little tirade, we get over it quickly, and cook up a nice meal and with a genuine and warm smile. I started this post merely to talk about eggplant and reflecting back to my visit to Sicily struck a nerve. Now back to the food. As I was eating my cousin’s eggplant, my question was “Why can they get that perfect char on a grilled eggplant and I can’t?” It must be part of the Sicilian heritage. 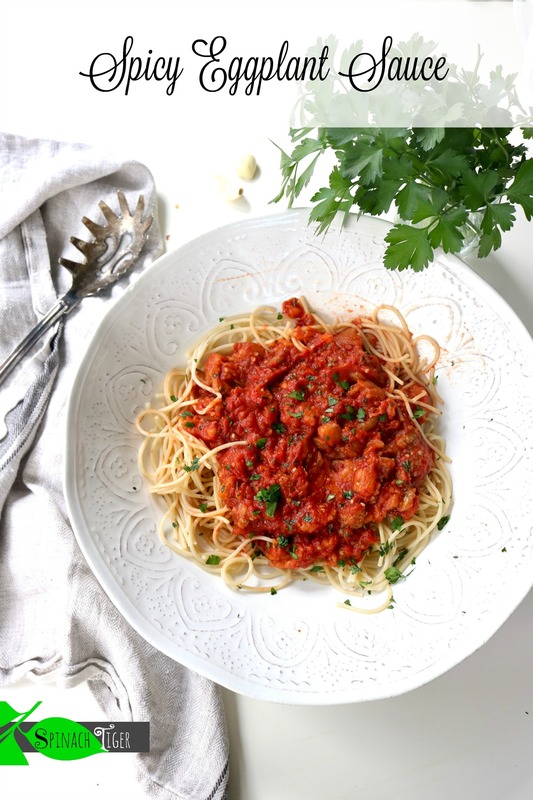 Spicy Eggplant sauce with spaghetti demonstrates how easy it is for Italians to put real food on the table in thirty minutes. This must be where I get my “quick fire” talents. While it’s nice to follow long, laborious recipes once in a while, it’s not me; it’s not realistic. I’m a gal who likes to have my hands in so many things at once that it’s nothing for me to be cooking and painting a room at the same time. This recipe comes from Marcella Hazan’s Cookbook, Essentials of Classic Italian Cooking, my all time favorite cookbook. This is the perfect going into Fall dish. Tell me, what is the comfort food you most crave this time of year (besides turkey)? Marcella Hazan's Spicy Eggplant Tomato Sauce for pasta. Peel Eggplant. Slice eggplant into medium slices. Salt, and allow to sit on paper towels. This will remove the water from eggplant and make frying much easier. Press moisture out using paper towels. Cut into 1½ inch slices, fry in very hot oil. Cut into pieces. Drain again with paper towels. Saute garlic in olive oil until golden. Add tomatoes, parsley, chili pepper, salt and stir, simmering for about 25 minutes. Add cooked eggplant, cook a few more minutes. Cook pasta (spaghetti works best) al dente according to directions. Add spaghetti to the hot sauce to finish the last minute of cooking. This helps to marry the pasta and sauce. Serve with extra chili pepper on side. Season to taste with salt and black pepper. The Sopranos had very little to do with the notion that all Sicilians/Italians had Mafia connections. I grew up in Los Angeles in the 40s/50s and during my teens was often “kidded” and/or asked about my family’s Mafia experiences. It was as annoying and insulting then as it is now. My name is Maria Lisa Di Martino. I am the daughter of one of your mother’s cousins, Carmelo Di Martino from Montreal. He has been wanting to contact your mother for quite some time now but he doesn’t have her phone number. I am reluctant to post or ask for personal information over the internet… I think she has his number, would it be possible to ask her to call him? Or if you prefer, you can email me at maryld24@hotmail.com. congrats for a great website!